Just thought I would share this card I made for my mum this year. Pink and purple because she likes really likes these colours, and all the pearls and lace to give it the femininity that fits her so well. She doesn’t have the internet so I know I can show it early. And it is sooo much fun being sneaky lol…. 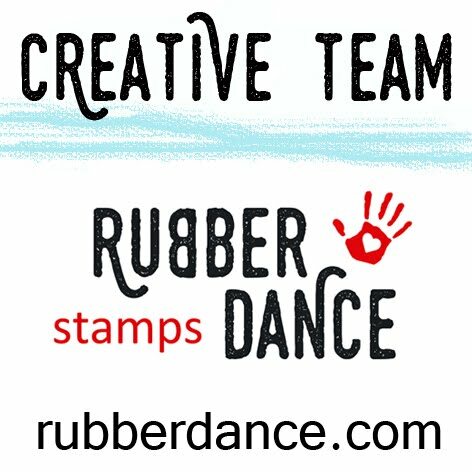 A big Thankyou to Avril who, last year, posted me some stamped images of this stamp that I enjoyed on one of her DT projects for FSC. This one was on acetate and I cut it make a tag. I hope you like it too Avril. The background is DI’s and ripped, distressed and gold embossed to add lushness. Mum doesn’t like things overdone, so I have had to restrain myself a little. Your mum will be loving this I'm sure. Its a gorgeous card. 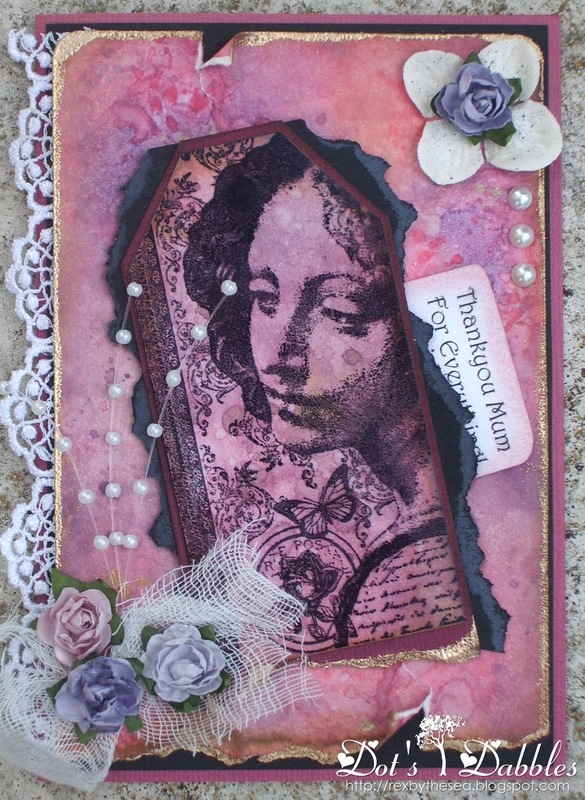 This is gorgeous, love the image, the distressing of the papers and the colours you have used. I think your Mum will be pleased. A very pretty and feminine card Dot, I bet your Mum will love it to bits. This is stunning Dot, and what a beautiful image (where is is from, may I ask?). I love your background, it complements the tag perfectly. Thanks for joining in with our Distressing challenge at LIIU! Dot, this card is stunning! The lace and torn edges add a great vintage feel. Your Mom will just love this! Hi there Dot! As soon as I saw your pic on the left, I knew it was McKenzies Falls! A local! I grew up and live in Stawell. I'm in Portland every month or so!!! Small world! This is a beautiful creation, and I love your colour choices! Thanks for sharing at the Card Crafter's Circle! A great card and I am sure your Mum will love it. Thanks for entering this in LIIU's April Challenge and best of luck! A very lovely card. Beautiful image and nicely executed presentation. Thank you for entering this week's challenge at Card Crafter's Circle. A beautiful creation, looks really great. What a great creation! I love the image and how you used our theme at Dutch Dare Card Challenge. Beautiful distressing you've done and your lace is wonderful! Thank you for sharing with us at Card Crafter's Circle! Oh this is fabulous, absolutely love it. What a beautiful Mothers day card. No doubt she will LOVE it!!! Hi Dot, nearly missed this one!! I really like this, looks fabulous in pinks, so soft and feminine. A beautiful card. A beautiful piece. I'm sure your Mum will love it. I think the image is stunning – do you know who it's by? Only just realised you've done this piece of gorgeousness Dot. Love the image which I have too and you've made a real stunner with it. Thanks so much for sharing it with us over at Polka Doodles too and it's lovely to see you there.